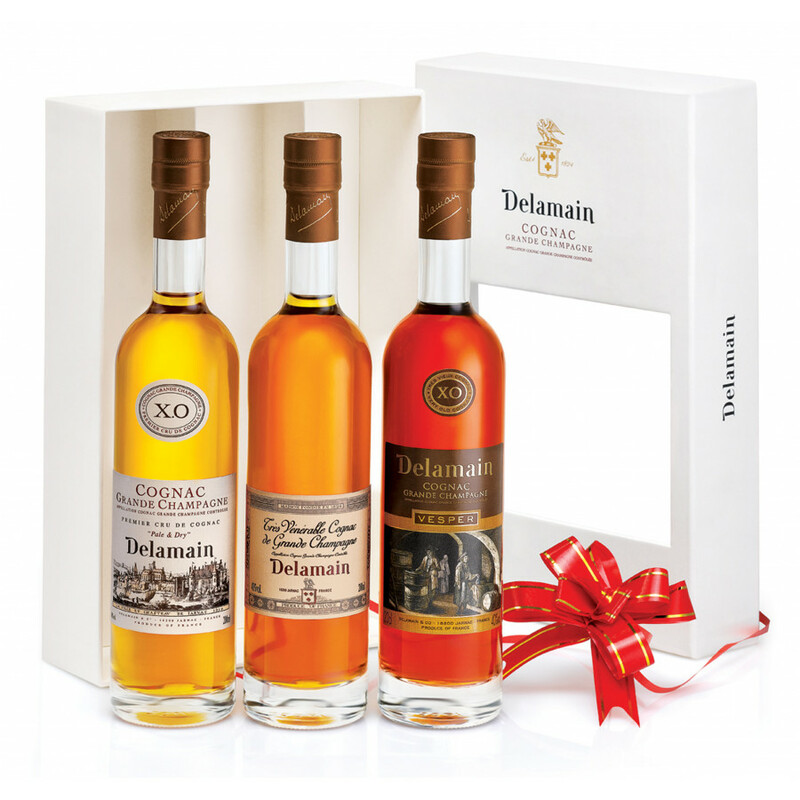 A great gift, the Delamain Gift Box Trio, with three different great cognacs: Pale & Dry, Vesper, Vénérable. Pale & Dry XO : delicate and elegant (that's a classic cognac by Delamain), Vesper is round and mature and last but certainly not least "Très Vénérable": Perfection and complexity. All cognacs are Grande Champagne, each bottle is 20cl, together that sums up to 60cl of finest cognac - for a very attractive price. 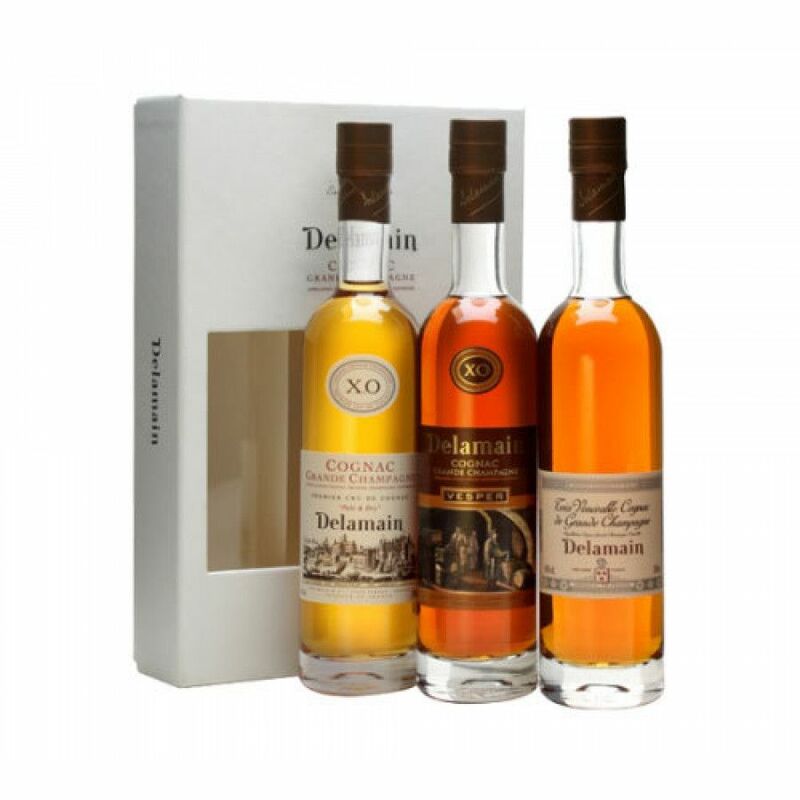 I bought this tasting box to learn more about Delamain, which is the best choice to get into high quality cognac. Really perfect because you get the best out of the cognac house. Especially Tres Venerable is beautifully round.